Booking a ticket at FareHawker is very simple, so you have more time for the important things in life. 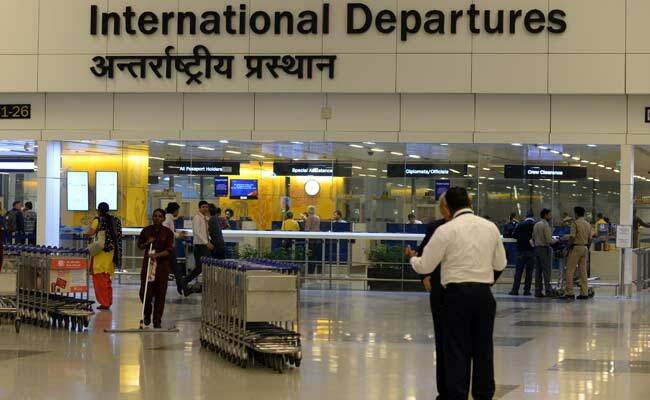 All you have to do when looking for a flight is select route for Delhi to Guwahati and on which travel dates. FareHawker does the rest by sorting through the available flights and cheapest fares for those dates. Our results page will then display the available flights, cheapest prices, times and flight duration for your search. At that point, you just have to decide which of those tickets you wish to book, then enter the passenger and payment details, confirm, and pay for your tickets. It's that simple! All the tools and resources you need to make the most of your online booking and planning we guarantee the best pick. From the lowest fare to charter flight or even group booking we have it all round the year, book your next flight for best airfare. Welcome to the capital of India – Delhi the city which has a rustic charm. Explore the Mughal architecture of the spectacular Jama Masjid or visit the other famous monument like the Red fort, Humayun’s Tomb or even the Lalbagh Fort. New Delhi is an administrative district of the city, designed by architect Edwin Lutyens in the days of the British Raj. Grand buildings such as the Rashtrapati Bhavan and India Gate war memorial came after Delhi was crowned capital of India by the British in 1911. Shopping at Connaught place or the best experience at Chandni Chowk for an authentic Delhi. Indulge in variety of food to your platter. Delhi has much more to explore book your next flight on FareHawker best assured airfare across all online portal. Nice to Know - The Old Town (Old Delhi) was founded in 1639 as Shahjahanabad; the British moved India’s capital from Kolkata to Delhi (New Delhi) in 1911. Shopping - Dilli Haat, Khan Market, Sarojini Nagar Market, DLF Promenade Mall, Lajpat Nagar Central Market, Janpath Market. Day trip to the Taj Mahal. Best time to visit - October to March when the weather is at its best. During this period flowers are at their blooming and weather is enjoyable. 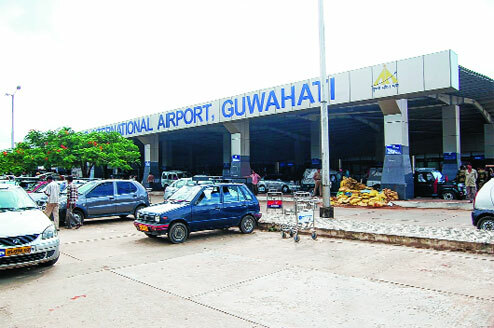 The gateway to the Northeast and the largest and most cosmopolitan city in the region, Guwahati serves as the starting point for most itineraries. Guwahati is the largest city of Assam and North-eastern India, a major riverine port city and one of the fastest growing cities in India. Bounded with nature and spell of fresh air, walk the back alleys and old quarters, traditional houses, sprawl of ponds with palm trees you will see the smiling and local favour of very charming people around. Guwahati is one among 98 Indian cities which will be upgraded to Smart Cities under a project embarked on by Ministry of Urban Development, Government of India. Nice to know - Assam has a State Anthem! The anthem has been composed by Lakshminath Bezbaroa and goes like this — ‘O Mur Apunar Dex’ (O my endearing motherland). It was officially adopted as the anthem of the State in 1927 at a conference in Tezpur. Kamakhya Temple - Hindu temple complex with domed roofs hilltop, Hindu temple complex with distinctive domed roofs, originally dating from the 7th century. Assam State Museum - Historical sculptures & various objects. Museum with a unique array of historical pieces from the area, such as sculptures, coins & books. Old Guwahati - This quaint area of Guwahati, bordering the Brahmaputra River, is best explored on foot. Walk past the beehive dome of the Courthouse. Meghalaya & Cherrapunjee is a great weekend getaway from Guwahati. Best time to visit - The weather is mostly pleasant with minimum temperature barely reaching five Degrees Celsius. The Magh or Bhogali bihu is celebrated during January while the Kati or Kangali bihu is celebrated during September-October period.